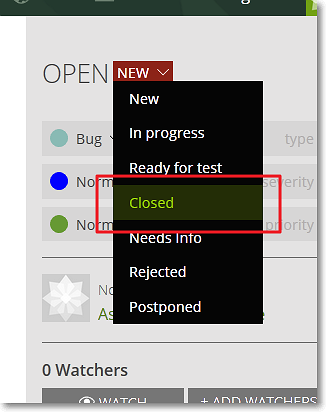 On the Sidebar of the details page, click the current status. This action displays a list with statuses available for Issues. The statuses you see on the list may be set up depending on what you need for the current project – for more details, you can go to The ATTRIBUTES section. Select a new status from the list. 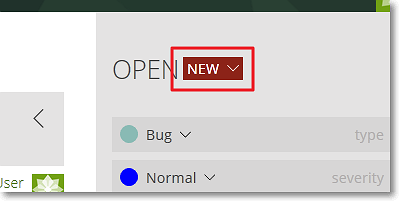 The status of the Issue is automatically updated.